I wanted to share something important for my 100th post, and this is immediately what came to mind. It was written as my tenth speech for Toastmasters, the project was to “Inspire Your Audience”, and I chose to do so by highlighting three quotes. It was one of the hardest projects I’ve done to date, not necessarily because of the subject matter, but because I wanted to do it justice. I hope it brings you some inspiration, or motivation as the case may be. It’s easy for us to resist change even though our current path leads to all kinds of unproductive situations. We make excuses because we’re afraid. We say things like, I’m not good enough. I don’t have time. Or it’s too late, I’m too old. Well, the first two are easy, you are, and you will if you make it a priority. The last one I struggle with, because I often hear it from people who are far too young to have anything to complain about. And so, in response I offer you quote #1. What I’m learning lately is that for many the most productive and rewarding years of their life aren’t until much further down the line. In fact, there are people all around us who have changed direction late in life and had a huge impact. George Eliot didn’t write quote #1 but was in fact a renowned author. She didn’t publish her first novel until the age of 40. I said she, because George Eliot was the pen name for Mary Anne Evans. I shouldn’t have to explain why a woman might want to adopt a male pen name in the late 1800’s, or today for that matter, but what I like to take away from this is that she wanted to write, and she found a way. Annie Proulx is the author of five novels, including The Shipping News and Postcards. You may be more familiar with a short story she wrote that was later turned into an Academy Award winning movie called Brokeback Mountain. This past November, at the age of 82, she won a National Book Award for Lifetime Achievement. This was amusing to her as she didn’t start writing fiction until she was 58. 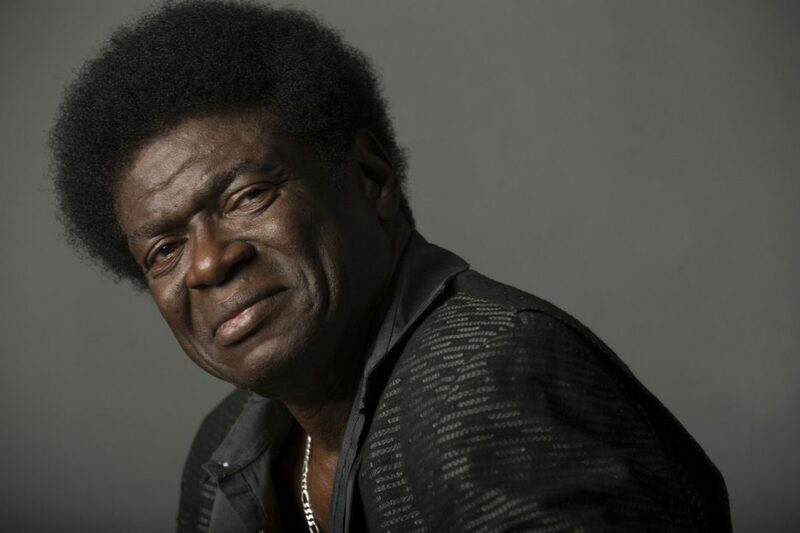 This is Charles Bradley, also known as “The Screaming Eagle of Soul”. He was 62 years old when he released his first studio album, “No Time For Dreaming”. It was named one of Rolling Stone Magazine’s top 50 albums of 2011. The follow up, “Victim of Love” came out in 2013. “Changes” was released in 2016. That same year, in October, he was diagnosed with stomach cancer. He fought hard and it was thought to have gone in to remission, but on September 6, 2017 he announced that he was cancelling all upcoming tour dates to focus on treatment as it had moved to his liver. 17 days later he passed away at the age of 68. According to the internet this comes from the teachings of Buddha, but it’s actually based on a much longer passage in the third book of the Don Juan series, Journey to Ixtlan. There is one simple thing wrong with you – you think you have plenty of time … If you don’t think your life is going to last forever, what are you waiting for? Why the hesitation to change? This is my mother in-law, Jane Arams. In September of 2014, just before her 62nd birthday, she was diagnosed with Stage 4 Metastic Colon Cancer. She passed away in July of 2016. I had never experienced a loss like this before, but watching a life that was once so vibrant, diminish as it did, made me realize how much I take for granted every day. Shortly before she passed, I found out that she had always wanted to see the Penguins at the Calgary Zoo, but didn’t get the chance. At that point she had been admitted to a palliative care facility and there was no turning back. It was something so small, but it still sticks with me today. Never mind that she won’t see her grandchildren grow, or get to experience retirement, even though she hadn’t needed to work for a number of years. It opened my eyes to all that I don’t make time for, or that I set aside, waiting for “one day”. I have struggled over the past few years with putting perceived obligations to work and to my family ahead of my own needs. I resisted steps to change because I didn’t want to let certain people down, but the fact is, by playing small and setting aside my hopes and dreams, I was in fact letting everyone down, most importantly myself. The way I look at it, life is like an emergency situation on an airplane in that you need to put your own mask on first. By taking care of yourself, by being happy and living your best life, you are giving everyone around you permission to do the same. With this realization in mind I decided to take some very small steps in a new direction. What can you do in the next thirty days to begin the journey to fulfilling your dreams? There’s still time. Don’t wait any longer. Posted in Creative Writing, Life, Uncategorized, Writing Challenge	Creative WritingInspirationWhat Are You Waiting For? You have eloquently put in writing what so many fear. Thank you for sharing this with us. As for your novel and short stories, I can’t wait to read them and have them on my shelf with my collection from other Canadian Authors. You definitely did justice to your topic. One of my favourite quotes is by Marianne Williamson. In part, it says, “Your playing small does not serve the world.” My first book was published weeks before I turned 60. Its only too late if you never begin! Your words need to be published and shared and I’m proud of you for making the commitment to do so. Oh Shane, once I saw Jane’s beautiful grin, at what was obviously a school presentation for one of the boys, I could barely read on. You have put into words exactly how I feel every time you and I say, “Let’s not go so long before we see each other again.” And then time passes and I fill with regret and guilt. I am so deeply proud of you Shane. I don’t say it often enough, but it is so true. You are one of the best fathers I have ever known, you are my very best friend, you made the perfect choice when finding a spouse (LOVE YOU, ALICIA), and on top of all that, you write from the heart in a way that allows your readers to FEEL your words. Again, so very proud of you! Love ya buddy! High fives and all that mushy stuff! Let’s get together soon (I really do mean it EVERY time I say it).